Sandhill Cranes, Montana. Canon 7D, 500mmf4IS, 1.4xII. ISO 800 f8 1/1500. 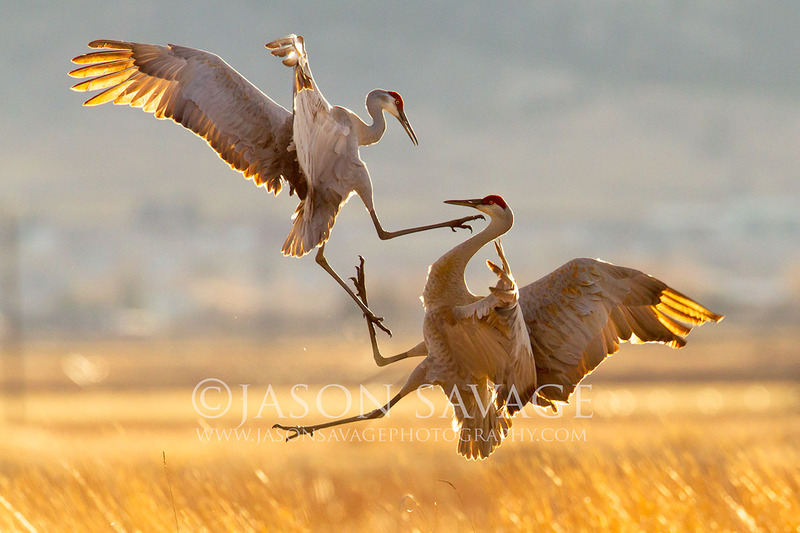 This image of the Sandhill Cranes at sunset was a memorable one and one where persistence pays off. I had found myself uncomfortably positioned for the last five or six hours somewhat entangled in a large sagebrush waiting for the Sandhill’s to show up. After sitting there with my legs asleep for the last couple hours I decided to give it just a few more minutes before throwing in the towel. Good thing I decided to persevere, for a few minutes later three cranes came strutting out in front of me as the sun was getting close to setting. Two of the cranes chased each other around for a bit and put on some dramatic scenes in the evening light. I was rewarded that evening with the satisfaction of working hard for an image and having it pay off as well as being reminded that persistence certainly pays in the world of photography. this one is fascinating. You’re right about persistence which pays off in photography. May I add, in all things, it brings rewards. You may know about the Bosque del Apache Refuge in NM? I just watched thousands of cranes and snow geese, there. Also, Photographers from all over…there for the full moon, sunrise and sunset birds. Thought you might want to know about it! awesome and beautiful shot you attained!!!! !